I recently came across a LinkedIn post on how Telefónica uses AI / ML to connect the unconnected by Patrick Lopez, VP Networks Innovation @ Telefonica. It was no brainer that this needs to be shared. To deliver internet in these environments in a sustainable manner, it is necessary to increase efficiency through systematic cost reduction, investment optimization and targeted deployments. Systematic optimization necessitates continuous measurement of the financial, operational, technological and organizational data sets. The first challenge the team had to tackle was to understand how many unconnected there are and where. The data set was scarce and incomplete, census was old and population had much mobility. 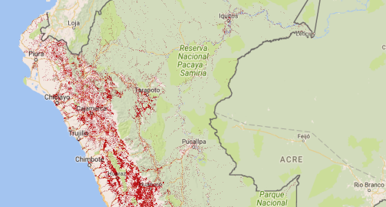 In this case, the team used high definition satellite imagery at the scale of the country and used neural network models, coupled with census data as training. Implementing visual machine learning algorithms, the model literally counted each house and each settlement at the scale of the country. The model was then enriched with crossed reference coverage data from regulatory source, as well as Telefonica proprietary data set consisting of geolocalized data sessions and deployment maps. The result is a model with a visual representation, providing a map of the population dispersion, with superimposed coverage polygons, allowing to count and localize the unconnected populations with good accuracy (95% of the population with less than 3% false positive and less than 240 meters deviation in the location of antennas). Transport networks are the most expensive part of deploying connectivity to remote areas. Optimizing transport route has a huge impact on the sustainability of a network. This is why the team selected this task as the next challenge to tackle. The team started with adding road and infrastructure data to the model form public sources, and used graph generation to cluster population settlements. Graph analysis (shortest path, Steiner tree) yielded population density-optimized transport routes. To connect very remote zones, optimizing operations and minimizing maintenance and upgrade is key to a sustainable operational model. This line of work is probably the most ambitious for the team. When it can take 3 hours by plane and 4 days by boat to reach some locations, being able to make sure you can detect, or better, predict if / when you need to perform maintenance on your infrastructure. Equally important is how your devise your routes so that you are as efficient as possible. 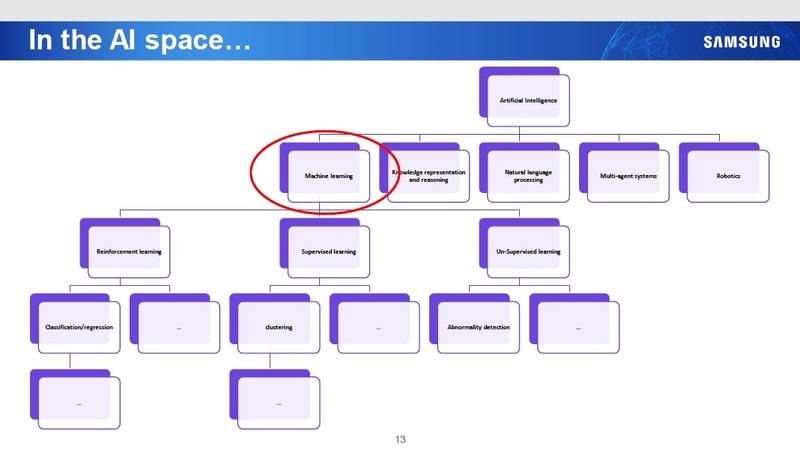 In this case, the team built a neural network trained with historical failure analysis and fed with network metrics to provide a model capable of supervising the network health in an automated manner, with prediction of possible failure and optimized maintenance route. 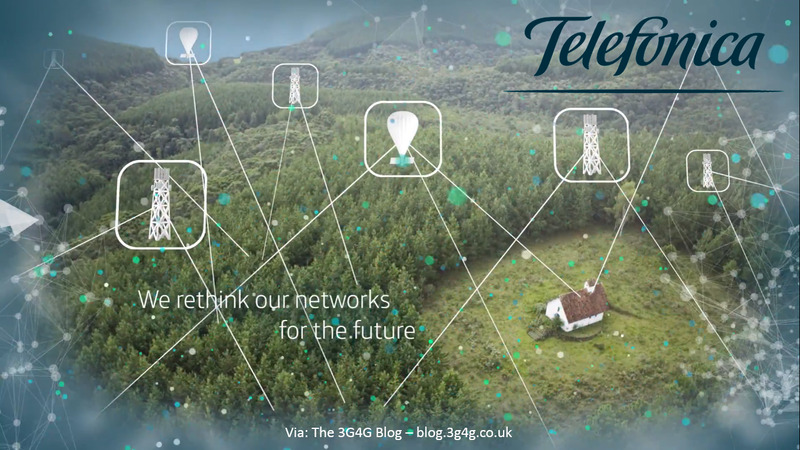 I think that the type of data driven approach to complex problem solving demonstrated in this project is the key to network operators' sustainability in the future. It is not only a rural problem, it is necessary to increase efficiency and optimize deployment and operations to keep decreasing the costs. Finally, its worth mentioning again that I am helping CW (Cambridge Wireless) organise their annual CW TEC conference on the topic 'The inevitable automation of Next Generation Networks'. There are some good speakers and we will have similar topics covered from different angles, using some other interesting approaches. The fees are very reasonable so please join if you can. One of the new entities introduced by 3GPP in the 5G Core SBA (see tutorial here) is Network Data Analytics Function, NWDAF. 1 The NWDAF (Network Data Analytics Function) as defined in TS 23.503 is used for data collection and data analytics in centralized manner. An NWDAF may be used for analytics for one or more Network Slice. 2 For instances where certain analytics can be performed by a 5GS NF independently, a NWDAF instance specific to that analytic maybe collocated with the 5GS NF. The data utilized by the 5GS NF as input to analytics in this case should also be made available to allow for the centralized NWDAF deployment option. 3 5GS Network Functions and OAM decide how to use the data analytics provided by NWDAF to improve the network performance. 4 NWDAF utilizes the existing service based interfaces to communicate with other 5GC Network Functions and OAM. 5 A 5GC NF may expose the result of the data analytics to any consumer NF utilizing a service based interface. 6 The interactions between NF(s) and the NWDAF take place in the local PLMN (the reporting NF and the NWDAF belong to the same PLMN). 7 Solutions shall neither assume NWDAF knowledge about NF application logic. The NWDAF may use subscription data but only for statistical purpose. The NWDAF may serve use cases belonging to one or several domains, e.g. QoS, traffic steering, dimensioning, security. The input data of the NWDAF may come from multiple sources, and the resulting actions undertaken by the consuming NF or AF may concern several domains (e.g. Mobility management, Session Management, QoS management, Application layer, Security management, NF life cycle management). 1. General characteristics (domain: performance, QoS, resilience, security; time scale). 2. Nature of input data (e.g. 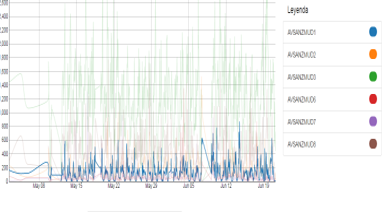 logs, KPI, events). 3. Types of NF consuming the NWDAF output data, how data is conveyed and nature of consumed analytics. 5. Possible examples of actions undertaken by the consuming NF or AF, resulting from these analytics. 6. Benefits, e.g. revenue, resource saving, QoE, service assurance, reputation. NWDAF represents operator managed network analytics logical function. NWDAF provides slice specific network data analytics to a NF. NWDAF provides network analytics information (i.e., load level information) to a NF on a network slice instance level and the NWDAF is not required to be aware of the current subscribers using the slice. NWDAF notifies slice specific network status analytic information to the NFs that are subscribed to it. NF may collect directly slice specific network status analytic information from NWDAF. This information is not subscriber specific. In this Release of the specification, both PCF and NSSF are consumers of network analytics. The PCF may use that data in its policy decisions. NSSF may use the load level information provided by NWDAF for slice selection. 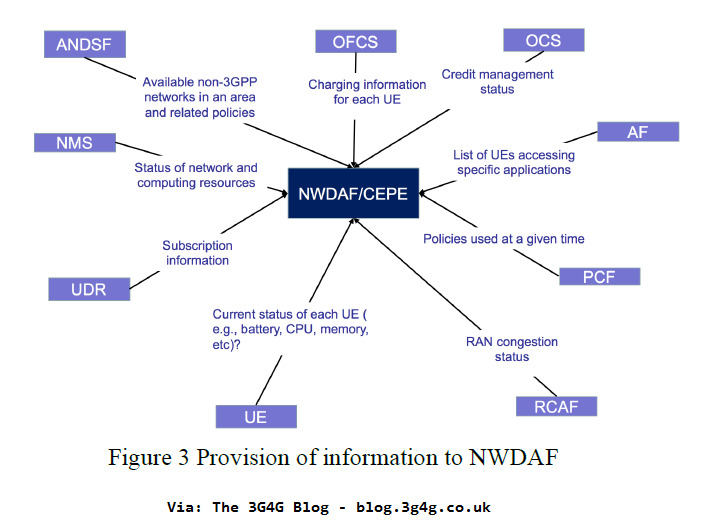 NOTE 1: NWDAF functionality beyond its support for Nnwdaf is out of scope of 3GPP. NOTE 2: NWDAF functionality for non-slice-specific analytics information is not supported in this Release of the specification. 3GPP Release-16 is focusing on 5G Expansion and 5G Efficiency, SON and Big Data are part of 5G Efficiency. The 3GPP standards group is developing a machine learning function that could allow 5G operators to monitor the status of a network slice or third-party application performance. 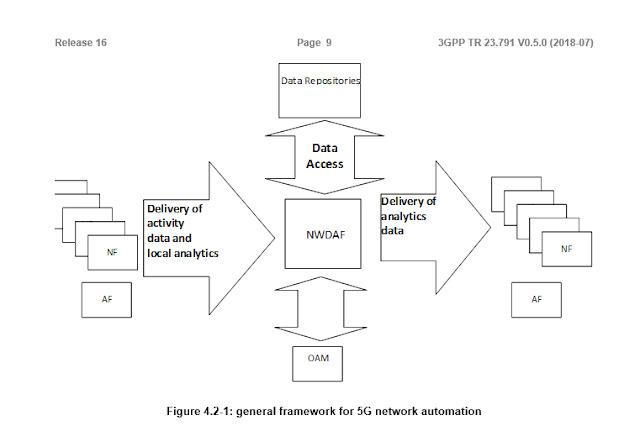 The network data analytics function (NWDAF) forms a part of the 3GPP's 5G standardization efforts and could become a central point for analytics in the 5G core network, said Serge Manning, a senior technology strategist at Sprint Corp. Speaking here in Madrid, Manning said the NWDAF was still in the "early stages" of standardization but could become "an interesting place for innovation." The 3rd Generation Partnership Project (3GPP) froze the specifications for a 5G new radio standard at the end of 2017 and is due to freeze another set of 5G specifications, covering some of the core network and non-radio features, in June this year as part of its "Release 15" update. Manning says that Release 15 considers the network slice selection function (NSSF) and the policy control function (PCF) as potential "consumers" of the NWDAF. "Anything else is open to being a consumer," he says. "We have things like monitoring the status of the load of a network slice, or looking at the behavior of mobile devices if you wanted to make adjustments. You could also look at application performance." In principle, the NWDAF would be able to make use of any data in the core network. The 3GPP does not plan on standardizing the algorithms that will be used but rather the types of raw information the NWDAF will examine. The format of the analytics information that it produces might also be standardized, says Manning. Such technical developments might help operators to provide network slices more dynamically on their future 5G networks. Generally seen as one of the most game-changing aspects of 5G, the technique of network slicing would essentially allow an operator to provide a number of virtual network services over the same physical infrastructure. For example, an operator could provide very high-speed connectivity for mobile gaming over one slice and a low-latency service for factory automation on another -- both reliant on the same underlying hardware. However, there is concern that without greater automation operators will have less freedom to innovate through network slicing. "If operators don't automate they will be providing capacity-based slices that are relatively large and static and undifferentiated and certainly not on a per-customer basis," says Caroline Chappell, an analyst with Analysys Mason . In a Madrid presentation, Chappell said that more granular slicing would require "highly agile end-to-end automation" that takes advantage of progress on software-defined networking and network functions virtualization. "Slices could be very dynamic and perhaps last for only five minutes," she says. "In the very long term, applications could create their own slices." Despite the talk of standardization, and signs of good progress within the 3GPP, concern emerged this week in Madrid that standards bodies are not moving quickly enough to address operators' needs. Communications networks are perhaps the most complex machines on the planet. They use vast amounts of hardware, rely on complex software, and are physically distributed over land, underwater, and in orbit. They increasingly provide essential services that underpin almost every aspect of life. Managing networks and optimising their performance is a vast challenge, and will become many times harder with the advent of 5G. The 4th Annual CW Technology Conference will explore this challenge and how Machine Learning and AI may be applied to build more reliable, secure and better performing networks. Is the AI community aware of the challenges facing network providers? Are the network operators and providers aware of how the very latest developments in AI may provide solutions? The conference will aim to bridge the gap between AI/ML and communications network communities, making each more aware of the nature and scale of the problems and the potential solutions. I am hoping to see some of this blog readers at the conference. Looking forward to learning more on this topic amongst others for network automation.